Can You Wear White to a Bridal Shower? 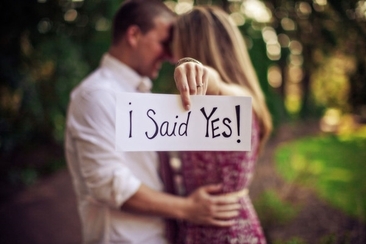 It's summer, which probably means you have a million wedding invitations for this summer and fall. And with weddings comes a number of bridal showers and wedding-themed events. Then you may wonder what to wear to these events. Everyone knows wearing white on the wedding day is a big no-no. But considering white is a popular color in summer, can you go with wearing the color for showers and bachelorette parties? We've answered that question and provided some great options for what to wear at these events. Just avoid it. Would you be happy if one of your friends or family members wore white when you were getting married? Even if it's just a bachelorette party or a shower, let the future bride shine. If she wants to wear white, she should be the only one. Also be careful of wearing similar colors like cream and ivory. They may not be white, but it's close enough. White isn't the only color to avoid. While not as bad as white, you should also avoid wearing red and black if you can. Red has often seen as flashy, and can be seen as drawing attention away from the bride. In addition, red is thought to be associated with adultery. Maybe not the best way to celebrate a marriage, right? If you need a dress for summer, try pink instead. As for black, obviously it's associated with death and mourning. Some brides may find it offensive. However, for most people, not being able to wear red or black is kind of an antiquated idea. If you have a different option and you don't mind wearing, go for it. Just avoid the white, ok? So now that you know the answer to “Can you wear white to a bridal shower”, here are some tips for how to pick the suitable one to wear. This way, you don't have to ask what you should wear to a bridal shower, and don't make the wrong decision. You shouldn't wear burgundy in the summer and shouldn't wear aqua or coral in the winter. The best option for a summer wedding is a bright sun dress with open-toed shoes. Also keep in mind if it's an outdoor wedding or shower, DO NOT wear stilettos. They'll get stuck in the grass. Instead, opt for flats or wedges for spring and summer weddings. Save the stilettos for late fall or winter, when you know the shower or ceremony will be indoors. The bridal shower isn't the wedding, so don't feel obligated to go too formal, even if it's at a venue instead of someone's home. But by the same token, don't go too casual. Avoid jeans and tee shirts. The best option is a sun dress. Then you can accessorize with jewelry and shoes based on where the shower is being held. Flats or sandals if it's being held at someone's home, and maybe nicer shoes like heels or wedges if it's being held at a fancier venue. Just because you can't wear jeans doesn't mean you have to wear a dress or shirt. If you'd feel more comfortable wearing pants, go for it! Especially if you have a pair of pants or capris in a fun color or print. You'll be comfortable and still look great. Then can you wear white (pants) to a bridal shower? Still not a great idea, but you might be able to go away with it if you have a fun and colorful top. It won't just be friends attending the shower. The bride's family will be there as well. You don't want to be known as the guest who could have worn a little more clothing. Leave the short tight dresses for the club or the bachelorette party. Make sure to class it up for the bridal shower. A printed maxi dress is the perfect option for a spring or summer bridal shower. The long flowy fabric will be cool and comfortable, yet appropriate. This dress from Red Dress Boutique has the perfect look. The light blue color is beautiful but won't overshadow the bride. And a dress for a bridal shower shouldn't have to break the bank. It sells for $62. 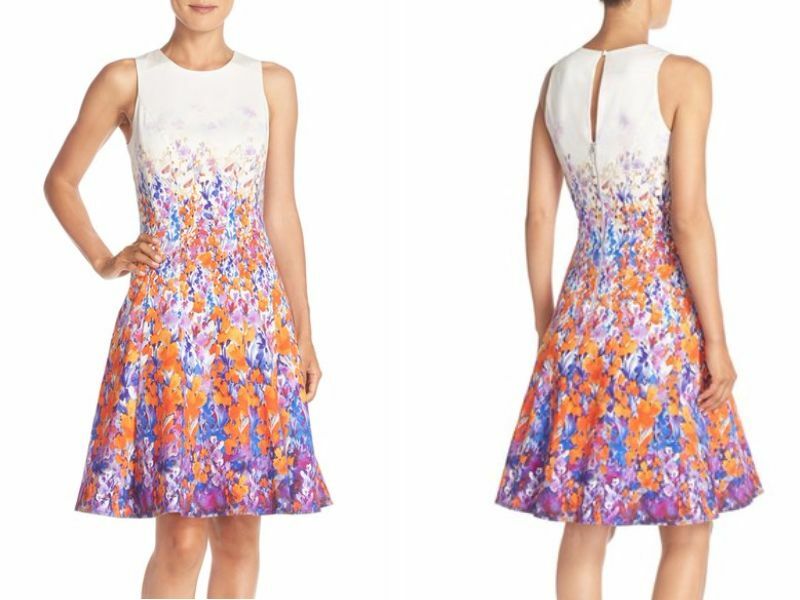 This is another fantastic option for a bridal shower, especially if you're not a fan of prints. If you prefer more subtle colors, this is also a great option. And this unique dress from ASOS is a cute choice. Also $62. If you're still hung up on the question “Can you wear white to a bridal shower?” this may be one of the few options where it's ok. Very little of the white actually shows. Most of the dress is covered in the beautiful floral print. Several different patterns are also available. Nordstrom is currently selling this dress for around $86. 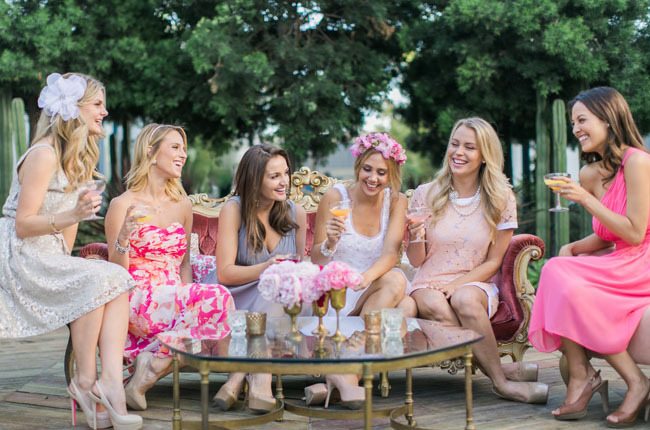 Not feeling a dress for a bridal shower? This jumpsuit is a perfect option. While technically the background material is a white or an off-white, the polka dots on the fabric are so small that it becomes much more like a gray or beige. It's a fun and flirty outfit that's a little different than the traditional sun dress. It's a little more expensive than the other options, costing $168. This is also a great summer option for those who aren't a big fan of prints. The pink is a great color for spring. 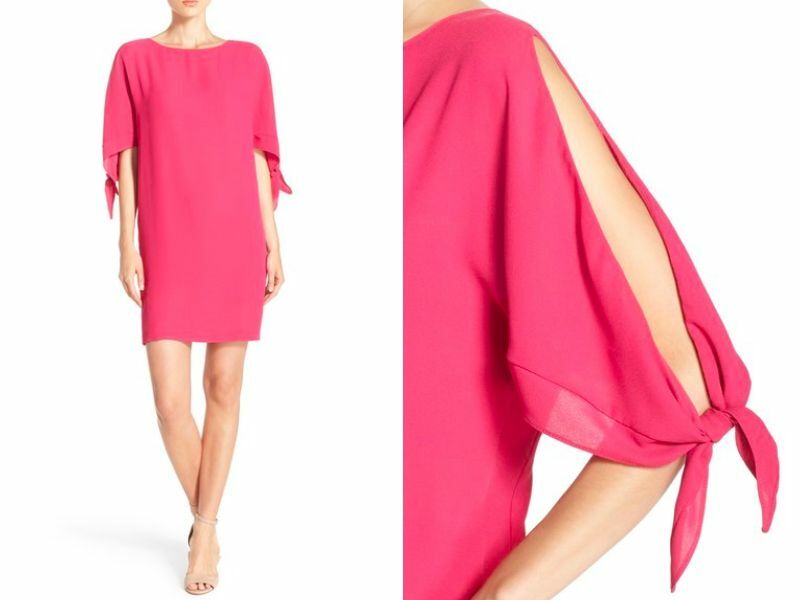 This Vince Camuto dress is simple, but has a great flirty open sleeve. This is the most expensive dress on the list, but still not overly pricey. It costs $148. Can you wear black to a wedding? When is black appropriate? What should I wear to a wedding? Read now to ascertain answers to these questions. 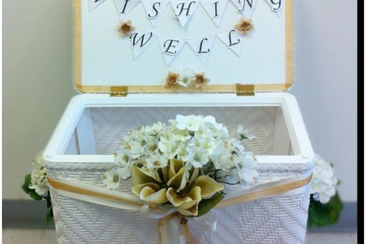 Are you ready to make plan for your own wishing well bridal shower where your guests can bring their gifts? Check this article and you will get some inspirations. 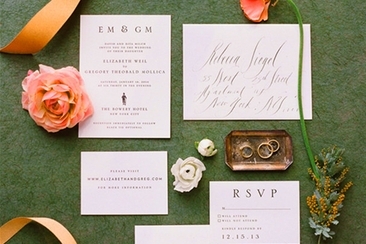 Wondering how to handle no response to wedding invitations? In this guide, we give you tips to get people to RSVP to wedding invitations and tricks to deal with unexpected guests. 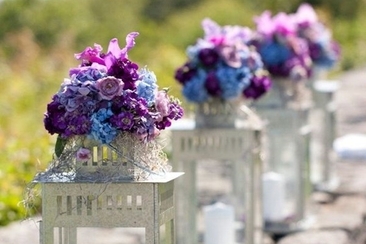 Looking for outdoor purple wedding reception ideas? You’ve come to the right place! purple can be a mystical and whimsical choice for a wedding. Check this article and get inspired! Updating a status of engagement is quite trendy these days. If you want it to be something different, you are at the right place. Here are the best fresh ideas. There are times when you may need slight modification to fit flawlessly in your dream dress. Learn how much alteration at David's Bridal cost and what to bear in mind.